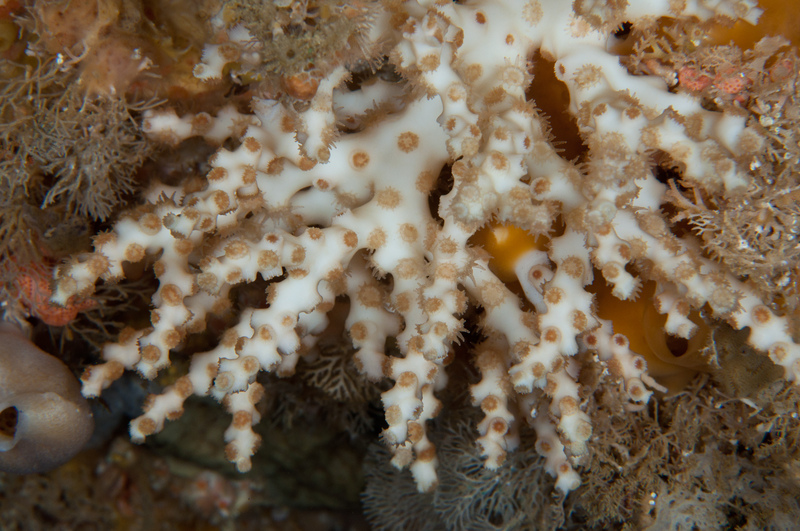 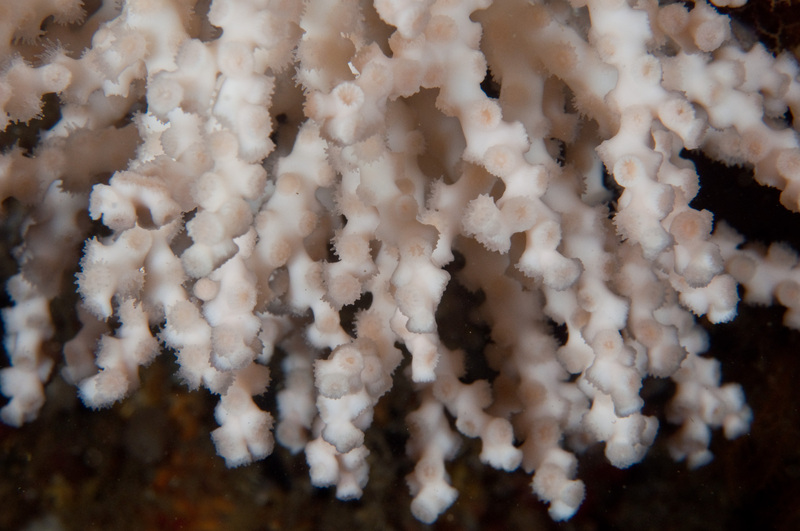 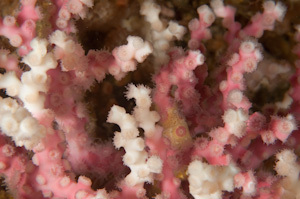 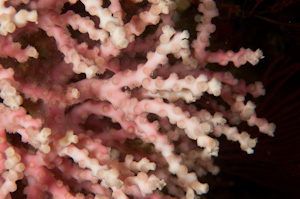 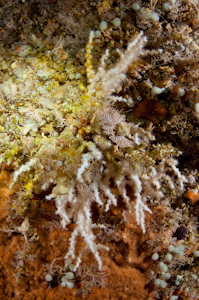 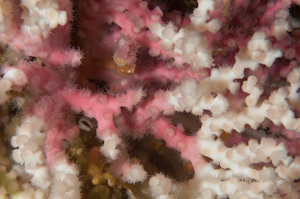 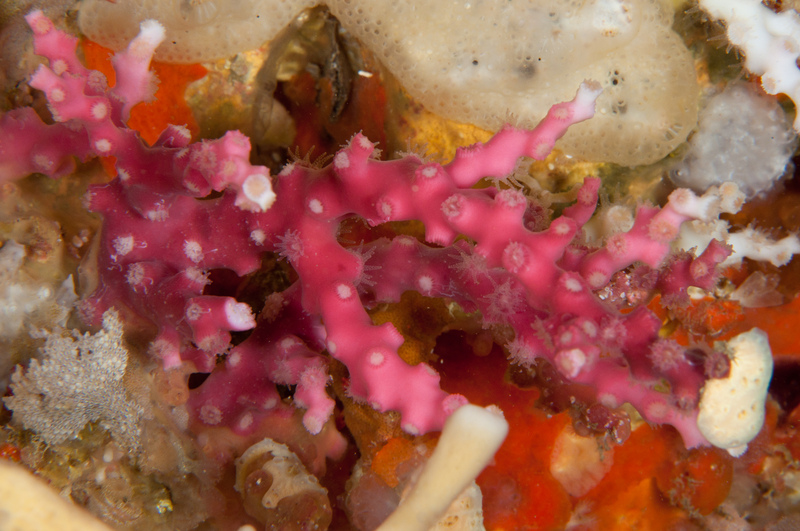 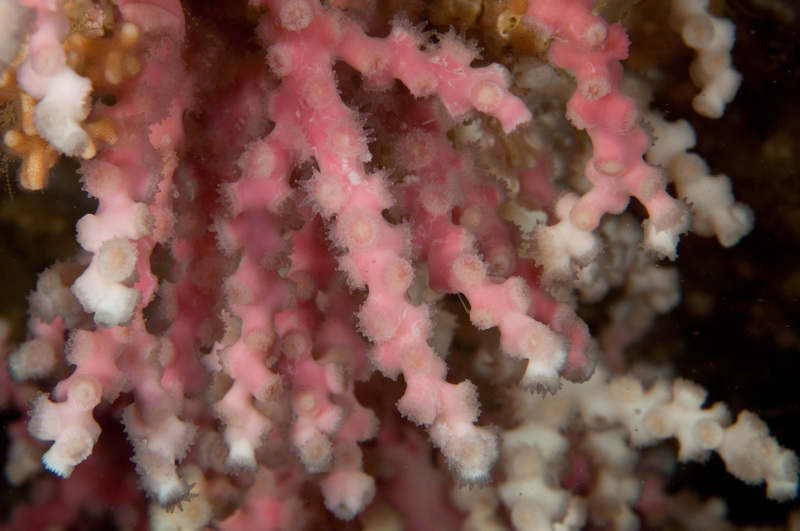 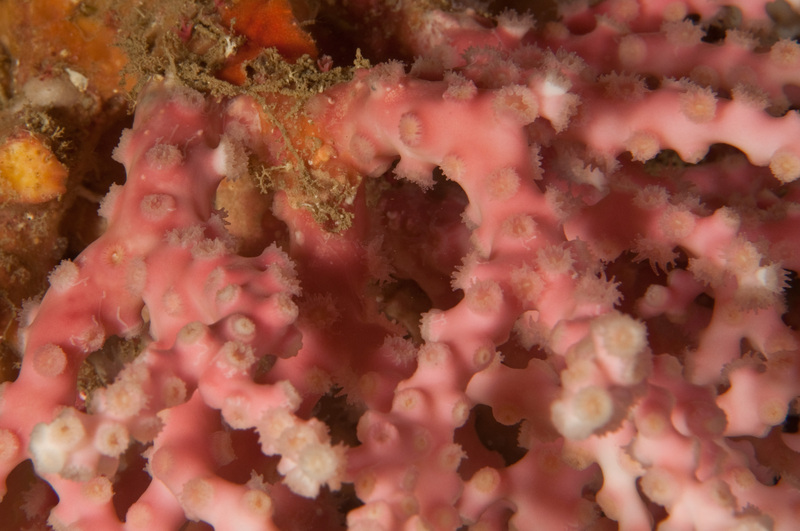 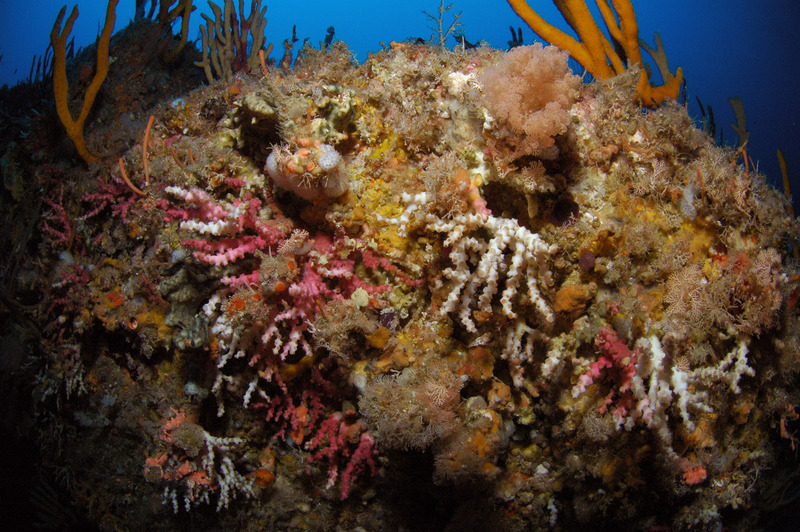 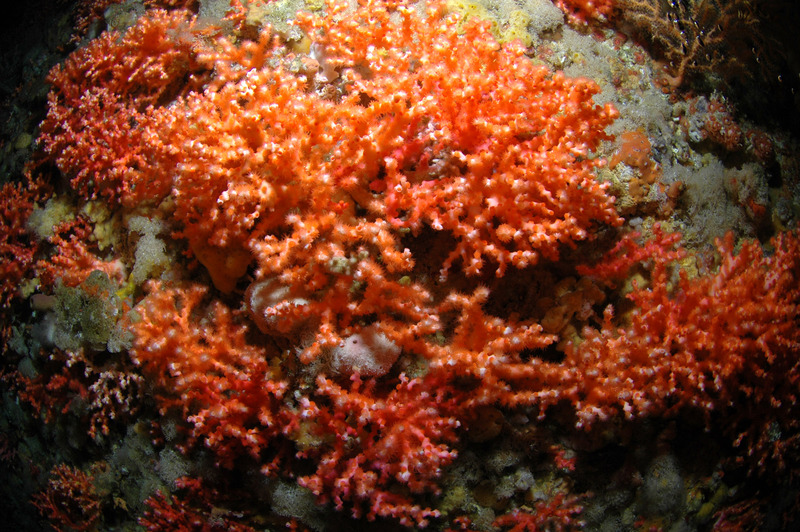 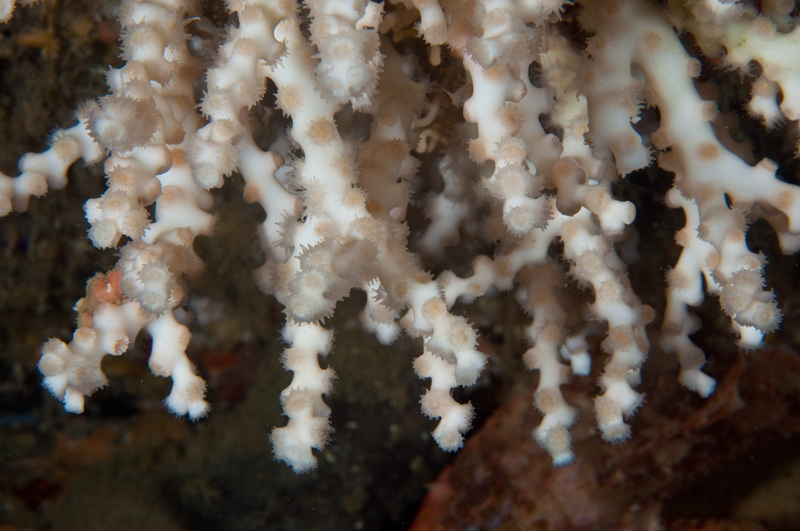 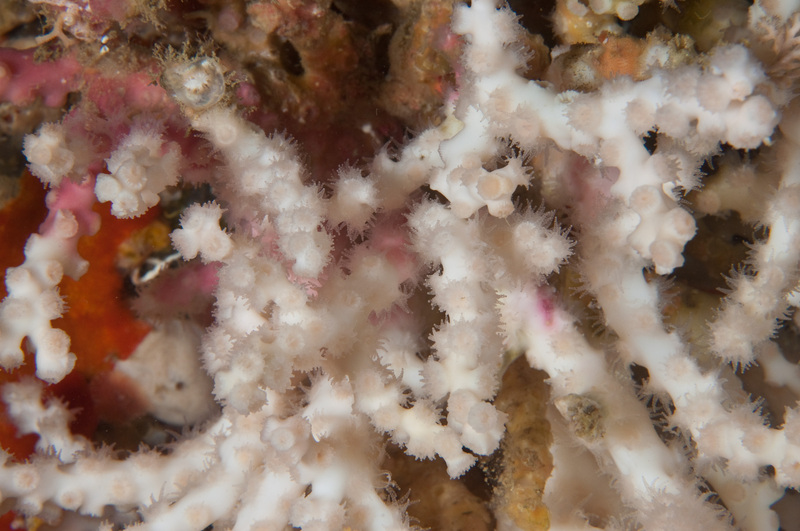 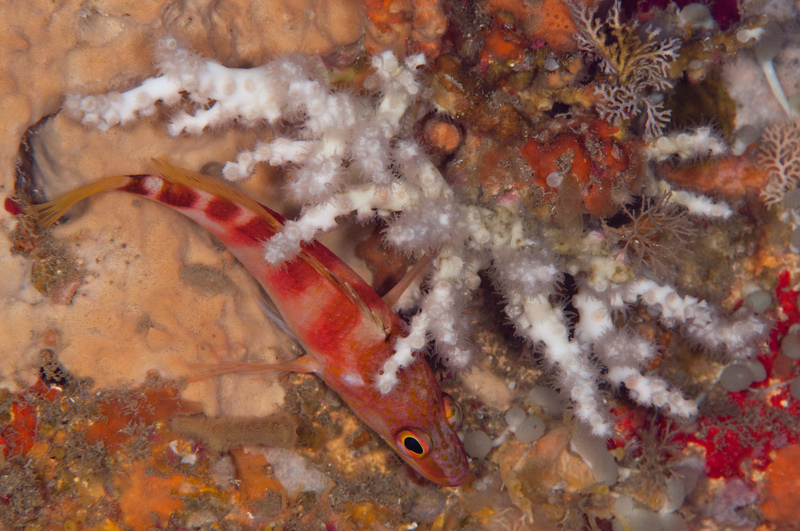 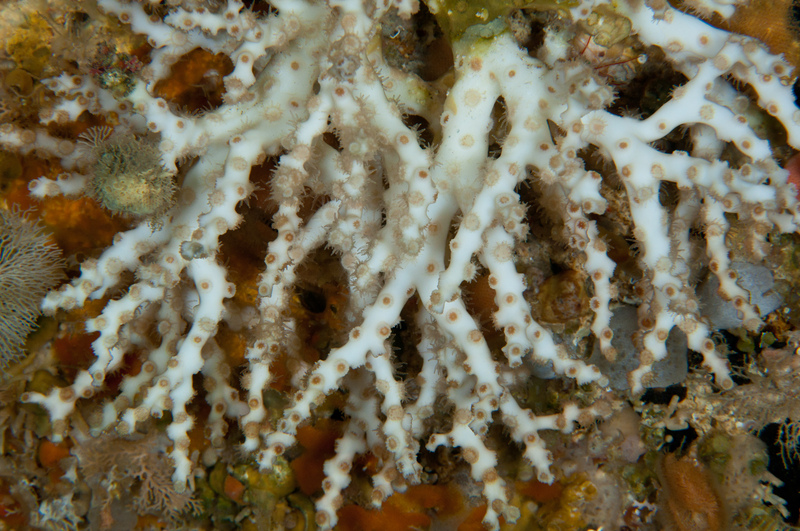 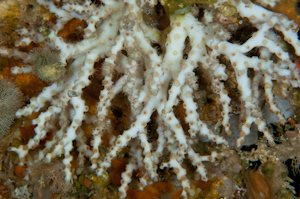 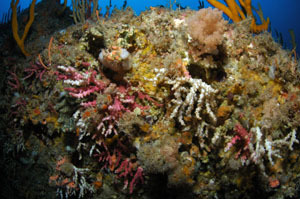 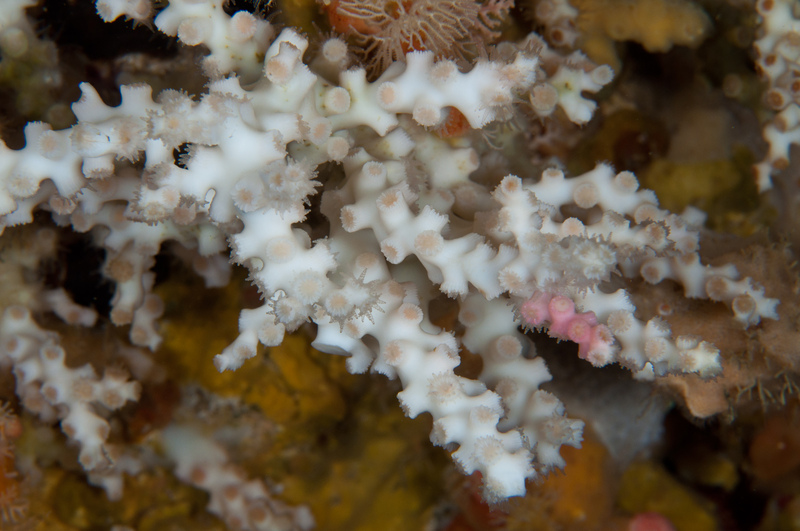 While diving near Northern Arch in April 2008, I was surprised to come across a rocky overhang encrusted with pink and white clumps of Oculina virgosa. 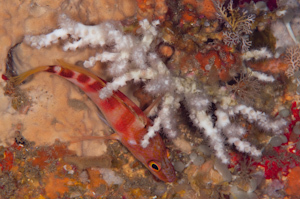 I've since photographed Oculina at many other sites around the Knights, generally at 60 metres or more, and almost always on an overhanging rock face. 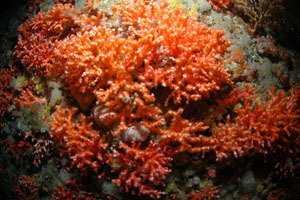 Oculina virgosa, Three Kings Islands. 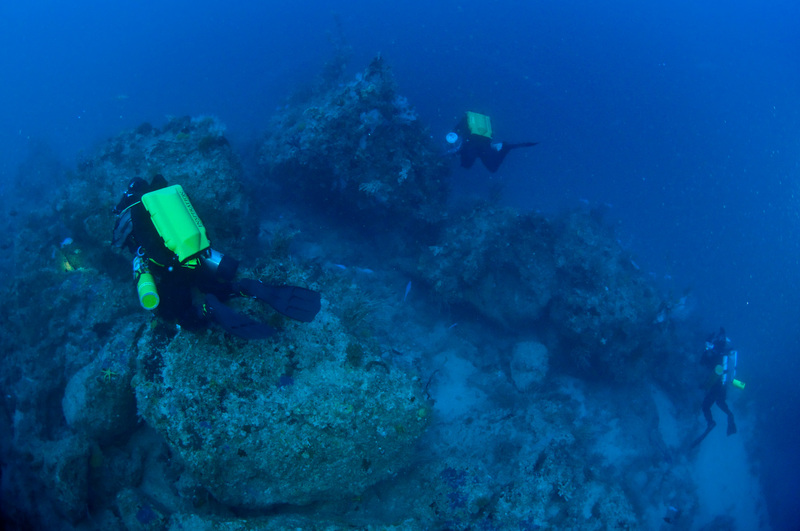 Depth: 18 m. Commonly found at the Three Kings on overhanging rock faces at depths of 25 metres or more.